There are several steps that are necessary to lauch a CHR instance on AWS. 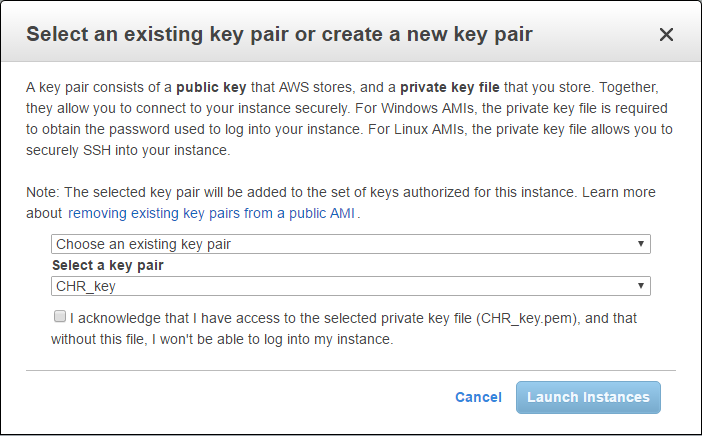 By default only SSH (command line) access and only using SSH keys is allowed to Amazon instances. 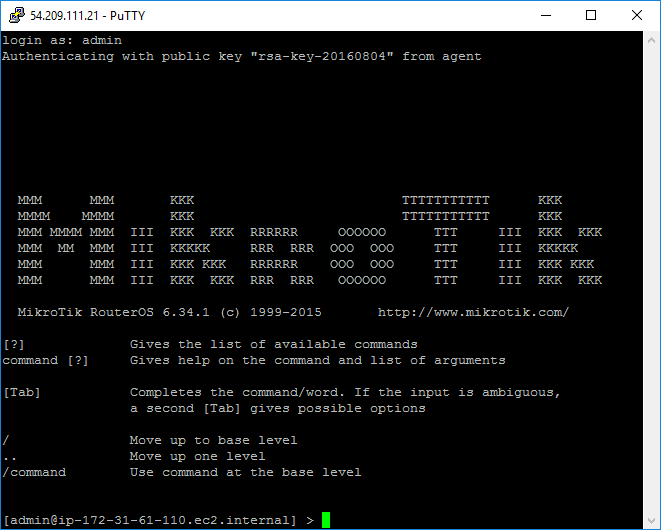 To generate SSH key on Windows PuTTYgen tool is needed. Generate SSH key pair, use the two buttons to save both the private ("Save private key") and the public ("Save public key") part to your computer (two files). to alter the permission. 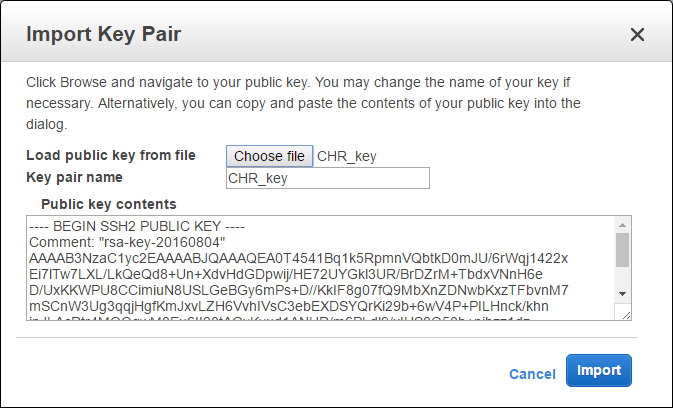 See previous section how to upload your SSH keys to AWS. To get CHR RouterOS running on Amazon AWS cloud at this moment, there are certain steps that you have to do to get this working from scratch. 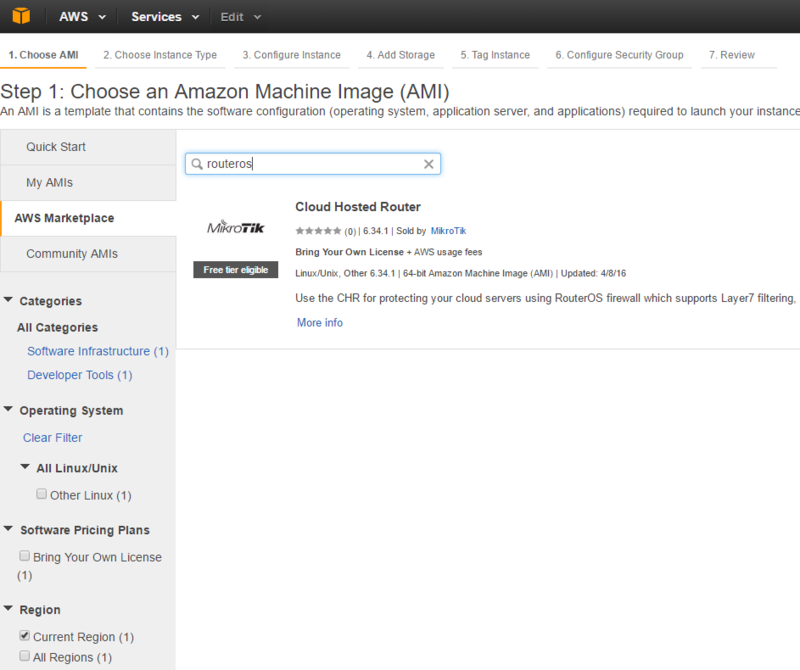 AWS API tools installed and configured (ec2-*). Now you can launch the instance from your AMI. This page was last edited on 5 August 2016, at 11:54.